How Much Compensation Can I Claim For A Foot Injury? Physical injuries can occur at any time or any place. Such accidents are unpredictable but may have a material impact on the physical and mental well-being of the victim. Further, these accidents may lead to all manner of health concerns. A foot injury is one such kind of health concern. It may be caused in a number of ways, such as a car accident or due to slipping on a wet surface. Walking on an uneven area may also lead to a foot injury. Regardless of the cause, a foot injury can severely impact your ability to carry out your regular tasks and may impact your livelihood. Injuries to the feet can affect us in many different ways, with bones, joints, tendons, and muscles all potentially affected. A foot injury may manifest itself in a variety of ways, such as a fractured talus or a fractured navicular bone. It may also lead to a fractured medial cuneiform bone or fractured intermediate cuneiform bone. If you believe that the accident which led to a foot injury was not your fault, you should consult a solicitor in order to make your foot injury claim. A guide to accident claims for foot injuries. What to do if you are involved in an accident causing a foot injury? How to begin a foot injury claim? 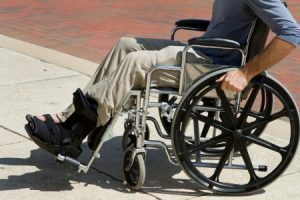 What can be claimed for after an accident causing a foot injury? What foot bones do you have? Slip trip or fall foot injuries. Foot injuries caused by road traffic accidents. The most common types of foot injuries. Assessing the severity of a foot injury. 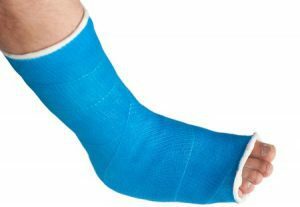 How much compensation will I get after an accident causing a foot injury? No win no fee foot injury claims. Why choose us as your claims service for a foot injury claim? If you are the victim of an accident and you have reason to believe you may be entitled to make a claim for foot injury compensation, this guide will take you through various steps involved in the process. At this initial stage, you may have many concerns. These could include not knowing whether your injury qualifies for compensation or – if it does – how much compensation you can claim. This handy guide will attempt to assuage your fears and help you make informed decisions. This guide will also help you in identifying the party responsible for causing the foot injury. While the laws related to such issues are generally complicated, this guide will present the relevant information in an easy-to-understand manner. It will also act as your foot injury claim calculator, letting you estimate the amount you may rightfully claim for compensating the losses caused by your foot injury. We’ll also touch on finding the right legal representation and why this could be important. A foot can be injured in many different ways. Following any injury, you should endeavour to seek medical help as quickly as possible. Once you have treated the injury, however, it may be time to think about the next step. If you believe that the injury was the fault of another party, this step could involve building a potential compensation claim. One of the first steps you should take before considering legal action is to gather documentation and evidence. This can come in a variety of formats, from photographs of the scene of the accident to medical reports and x–rays. This evidence can be vital at the early stages of broken foot injury claims. It is also helpful if you take pictures of the injuries as soon as possible. As your wounds begin to heal, the full extent of the damage might not be as obvious. Photographs can provide documentation of the injuries you suffered. Another important step is to collect information of all the people involved in the accident. This information includes the names, addresses, and other contact details of such persons. If you can collect statements from the witnesses, it can make your case even stronger. In the case of certain accidents – car crashes, for example – it might be necessary to call the police to the scene. If you do, then they will take an official report of events. Getting a copy of this report – if possible – can be beneficial. The victim should also take care to obtain a copy of any video that might have been captured by surveillance gadgets such as CCTV. All this information and evidence may come in handy while filing a claim for the foot injury. Once you have received adequate medical care and have gathered all the available evidence, you should proceed to evaluate your options for filing a claim. The first step will involve meeting a qualified solicitor, particularly one who specialises in dealing with foot injury claims. Our law firm offers free consultancy sessions for potential clients, a consultation where you can talk with qualified experts to establish the facts of your case. If you reach out to us, we can then assist you in gathering and organising the necessary information. This step will help us in assessing the legal options available to you. It will also be helpful in determining the amount of compensation you may be entitled to claim. Once the information is collected, analysed, and a conclusion has been made, further discussion may be undertaken to decide the best possible way to proceed. Our firm also offers ‘No Win No Fee’ policy, which further helps you in minimising your risk. As the name implies, the policy allows you to pay only if the case is won and you receive compensation for your injuries. You are not liable to pay us anything if the case is lost. In this way, your risk in the case is minimal. Furthermore, we can also arrange for a local medical appointment for you, meaning that your long term health can be fully assessed. It will also ensure that you receive proper care and can protect against future implications stemming from the accident. This way, our firm is always there to help you and assist you. General Damages: These are the non-economic damages and are used for compensating the victim for their losses, which may not be quantified in an objective manner. These damages are difficult to assess, being as they pertain to abstract notions such as pain, suffering, and so on. Care Claim: This type of compensation can help recover any expenses necessary to hire helpers, carers, or nurses. This care may be essential in enabling you to carry out your life and work. For example, if your foot injury required you to have bed rest, expenses for engaging a nurse or domestic help can be recovered. Loss of Earnings: If your foot injury has forced you to take time off from work, this clause allows you to claim for your lost wages. You can also claim for a loss of future wages should your injuries hinder your earning ability. Travel Expenses: If your injury has caused you to undertake additional journeys – visiting a doctor, for example – then you are entitled to claim for the necessary travel expenses. This could be taxi fares, petrol costs, or train tickets. Medical Expenses: Medical expenses can include costs such as the purchasing of special equipment, visits to a physiotherapist, and the use of private healthcare facilities if they are necessary. Our firm can help you in properly managing and cataloguing these expenses, preventing the foot injury from ruining your financial situation. Forefoot: The forefoot consists of the five toes, which are known as phalanges, and another five bones of a longer length, which are called metatarsals. Midfoot: The midfoot is shaped like a pyramid and has bones which make up the arches of the foot. Also a part of this structure are the three cuneiform bones, as well as the cuboid and navicular bones. Hindfoot: The hindfoot consists of the ankle and the heel. The talus bone provides a degree of support to the other bones in the leg, such as fibula and tibia, and forms the ankle. The biggest of the bones in the feet is the calcaneus, also known as the heel bone. In addition to the above parts, the foot also contains a large number of muscles, tendons, and ligaments which can become damaged or hurt. These parts allow for the complicated movements required for motion, as well as for maintaining balance. The heel is connected to the other muscle, the calf, through the Achilles tendon. This enables us to jump, run and stand on our toes. Injuries, such as a fractured intermediate cuneiform bone, can hinder our mobility both in the immediate present and in the future. The single most common cause of foot injuries is slipping, tripping or falling due to a badly maintained pavement or public walkway. No matter where your foot injury was caused, if you slipped, tripped or fell because somebody had failed to keep a walkway safe, then you will have a reason to claim compensation for your foot injury. Public pavements are the responsibility of the local council, and if the council fails to maintain them, and this leads to a foot injury accident, you have a reason to claim. Commercial properties, such as supermarkets or shopping centres, have a legal requirement to maintain a safe environment for the public. If they fail to do so, and this leads to a foot injury, a valid cause to claim compensation exists. Road traffic accidents are another very common way that foot injuries are caused. Very few vehicles include safety features specifically protect the feet. Therefore, these unprotected body parts have a much higher likelihood of being damaged in even low-speed accidents. If you have sustained a foot injury in a road traffic accident, we can assist you in identifying the liable party, and help you pursue a compensation claim. Every employer is legally required to make sure that the workplace is a safe place. Health and safety regulations for flooring are applicable to every company. If failure to comply with these HSE guidelines, leads to a foot injury, then the employer is going to be liable for damages, and a compensation claim can be successfully pursued. According to the latest Health and Safety Executive report on workplace accidents, nearly 621,000 workers suffered a non-fatal injury at their workplace in 2015-16. Of these injuries, over 25% remained out of work for more than seven days. Foot injuries have the potential to limit mobility and making a large variety of activities difficult or impossible. This can include walking, running, lifting weights, or any strenuous physical movement. Evidently, such a loss of mobility can hamper your ability to work, especially in jobs where physicality or movement is a requirement. Accidents at work: This can include dropping items on your foot, slipping or tripping, machinery or vehicle malfunctioning or crushing your foot. Bike, motorbike or car accidents: Injuries can happen as the result of collisions, for drivers, passengers, and pedestrians. Outdoor activities: Sports and other outdoor activities often require strenuous activity and can place the foot in danger. Falls : These can happen either at work or outside as the result of uneven surfaces or obstructions. A foot is a complex body part and can suffer from a huge range of injuries in a huge number of different ways. In order to make the most convincing claim for the compensation, it is important to determine the type of injury your foot has incurred. Your accident may have led to a broken foot, a classification of injury which we can further refine by assigning it a severity level. We’ll look more closely at this in another section. Another type of common foot injury is a metatarsal fracture, common in sporting injuries. Your injury may also result in spraining of the muscles or swelling. We’ve witnessed cases involving a fractured cuboid bone, fractured proximal phalanges, fractured intermediate phalanges and fractured distal phalanges, among other things. In the most severe of cases, the victim may be forced to undergo amputation of one or more feet or toes. However, these are far from common. Metatarsal Fractures – Both traumatic and stress fractures caused to bones in the foot. Fracture of the Heel Bone (Calcaneus) – Broken bones around the ankle or heel. Sprains and Strains – Injuries occurring to ligaments around joints. Contusions – Deep bruising which can cover the ankle area. Crushing injuries – crushing injuries can result in compartment syndrome. Burns – chemicals or fire can cause a reaction and a burn when in close proximity to the skin. Whatever the specifics of your injury, it is advisable to consult a medical practitioner or a specialist as the first course of action. Once you have been properly treated for your injury, you can begin legal action. As part of our policies, we can arrange for an appointment with a doctor near your home, meaning that you will not need to worry about the long term issues which might not be apparent in the immediate aftermath of your injury. One of the most important steps involved in determining your compensation amount is directly related to the severity of your injury. In the time after your injury, the full extent of the damage can be difficult to assess. Swelling and bruising can hinder a full diagnosis. While you are advised to visit a medical expert as soon as possible, a follow up assessment can be useful. This will help you in determining the proper course of action with regard to your treatment, as well by providing information relevant to your claim. As part of the process of evaluating the claims of clients, we can arrange for your to visit a local doctor. Not only will this appointment help you deal with the pain you might be experiencing, but it can evaluate the future impact the injury might have. The severity of the foot injury can include long term considerations, such as weakness and propensity to become re-injured. We will take these findings into consideration when seeking compensation and can ensure that you are paid the correct settlement as a result. Attempting to put a number on a potential compensation amount in the early days of a claim is difficult. If you are yet to seek legal assistance, then you may be struggling to know how much foot injury claim amounts are typically worth. There is a good reason for this. Due to the unique circumstances surrounding every case, your final compensation total will depend on a number of factors. There is no set amount of compensation for a fractured calcaneus or heel bone or a fractured lateral cuneiform bone. But that does not mean that we cannot answer this question. Instead, we have included the below table to provide you with a rough estimation of potential payouts, using average figures from past cases to estimate your settlement total. Foot Injury Mild Up to £10,450 Short-term damage to foot and pain as result of injury. Foot Injury Moderate or Serious £10,450 - £29,800 Long-term loss of function of one or both feet, with ongoing disability as result of injury. Foot Injury Severe or Very Severe £31,900 - £83,325 Permanent loss of use of one or both feet as a result of accident. Finding the time and the energy to file a compensation claim is difficult. After suffering from a foot injury, you might find this particularly tough. One of the biggest challenges, however, is financial. If your injury is causing you to spend money, as well as preventing you from working, then finding the money for legal fees is hard. That’s why we offer an alternative. Our ‘No Win No Fee’ agreement can be the perfect way in which to pursue compensation without the financial risk. We don’t charge you upfront. In fact, we don’t charge you at all until the case has been successfully resolved. If we are not successful, we won’t charge you at all. This approach is also called a ‘Conditional Fee Agreement’ and it can help reduce the financial barriers to winning compensation claims. If your foot has been injured and the injury is costing you money, this arrangement could be the ideal way in which to win compensation. Part of making a successful compensation claim is hiring the right law firm. We believe that we are the best choice for those fighting for foot injury compensation. Our approach combines brilliant customer service, years of experience, and a commitment to offering the best policies for our clients. This does not only include the ‘No Win No Fee’ agreement but can also be seen in the free legal consultations we offer and our ability to arrange for a dedicated doctor’s appointment close to your home. We can minimise your financial risk, provide informed legal support, and help you at every step of the way. If you would like to find out more about what makes us the perfect law firm for you, just talk to our team today. If you have suffered a foot injury and you don’t believe it was your fault, we can help. If you believe you are owed compensation as the result of your injury, we can help. You can call 0800 073 8804 now or fill out a form on our website and we’ll be able to get in touch and arrange a consultation session at a time that suits you. How Much Compensation For A Accident At Work? If you have had a accident at work that has resulted in a foot injury call us today for free advice and to see how much you can claim. This NHS link has very useful information on foot injuries and foot pain its worth a visit to help you with recovery. Have you had a slip trip or fall? get free legal advice today or talk to us through or online chat.